We have a plan to leave no one behind! 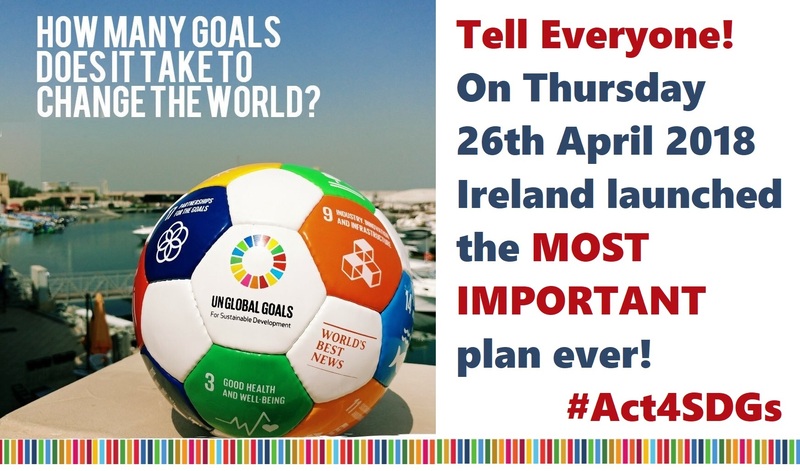 On the 26th April 2018, Minister Denis Naughten launched The Sustainable Development Goals: National Implementation Plan 2018-2020, which sets out how the Irish Government will implement the SDGs in Ireland and support countries around the world to do the same. The National Implementation Plan provides for a whole-of-government response to the SDGs and addresses the need to raise public awareness of, and engagement with, the SDGs. The Sustainable Development Goals (SDGs) are the global community’s response to the urgent economic, social and environmental problems facing the world today, from climate change to global poverty and inequality. The 17 SDGs set out a bold vision for achieving a more sustainable world by the year 2030. Ireland has a particular interest in the SDGs, as our former Ambassador to the UN, Mr David Donoghue, acted as co-facilitator to the intergovernmental negotiations through which the Goals were agreed. No One Left Behind in this new Irish National Plan for Sustainable Development? All Together in Dignity Ireland welcomed the launch of this Sustainable Development Goals National Implementation Plan 2018-2020 by the Minister of Communications, Climate Action and Environment Naughten. It is particularly encouraging to see a foreword from the Taoiseach in the document. We value his commitment to lead Ireland in our pursuit of the targets and ideals of the Sustainable Development Goals and his recognition of the importance of the promise to Leave No One Behind in the process. Indeed the Plan’s commitment to the Leave No One Behind Promise on top of working towards achieving the 17 Goals of Agenda 2030 is quite happily a recurring theme. The promise is highlighted not only by an Taoiseach, but crucially in the Vision Statement as well as the section outlining Ireland’s National Approach to reaching the targets of the 17 Goals. 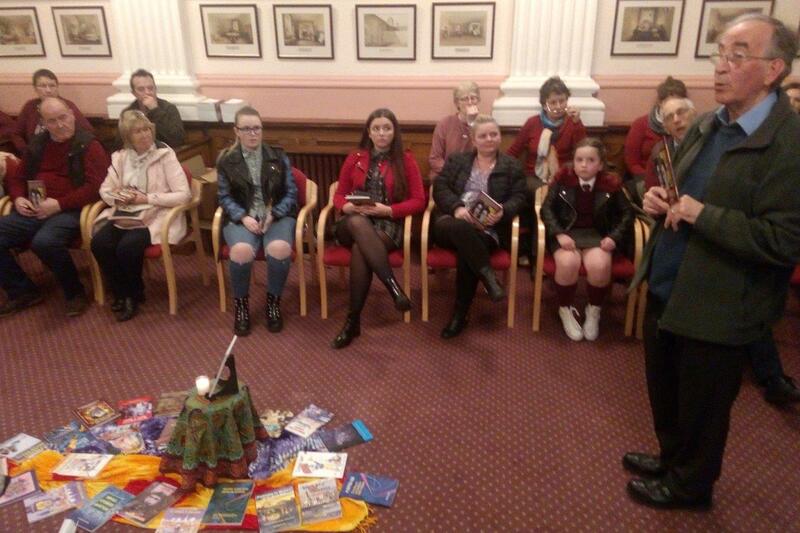 ATD looks forward to seeing action on public engagement and awareness of the Goals and the Promise. 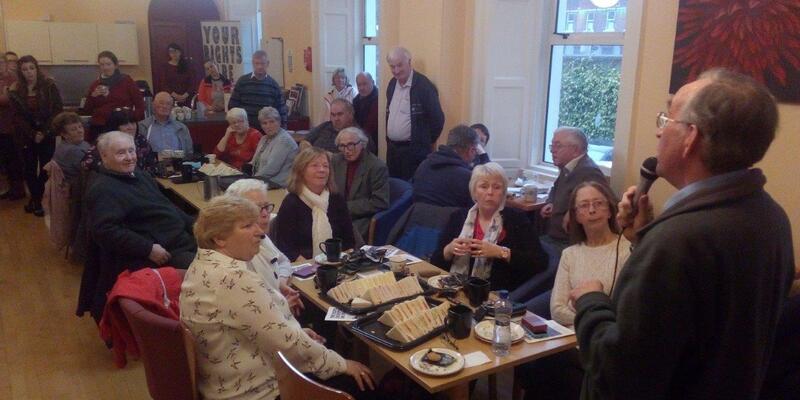 At grassroots level, here in ATD Ireland we are spreading awareness of the Leave No One Behind Promise with our Leave No One Behind Conversations campaign which consists of thought-provoking workshops imploring people to examine the necessity for a Leave No One Behind Promise as well as the challenges which are inevitable in delivering on such a transformative statement. The creation of a National Stakeholder Forum is a critical next step in the implementation of the Irish Plan. ATD believes that it is crucial that of the Forum delegates representing communities, delegates from the most marginalised communities be invited and their participation supported, thus ensuring that we fulfill the commitment to “Reach the furthest behind first” and listen to the needs of and interests of those who are too often silenced or voiceless. The Agenda 2030 has to deliver for them. and to be adopted at our 2018 AGM (21st April 2018)! If you like what you read and see, please support us here, your gift will make a change! Join the ‘Leave No One Behind’ Conversations! The Agenda 2030, the 17 Sustainable Development Goals and the ‘Leave No One Behind’ promise provide the tools to achieve dignity and equality for every human being on this planet by 2030. Commitment and robust implementation of this Agenda is needed, however, to ensure that the plan is achieved for all people, in particular the most vulnerable. Ireland has fully committed to this global agenda, but what does this mean in practice? 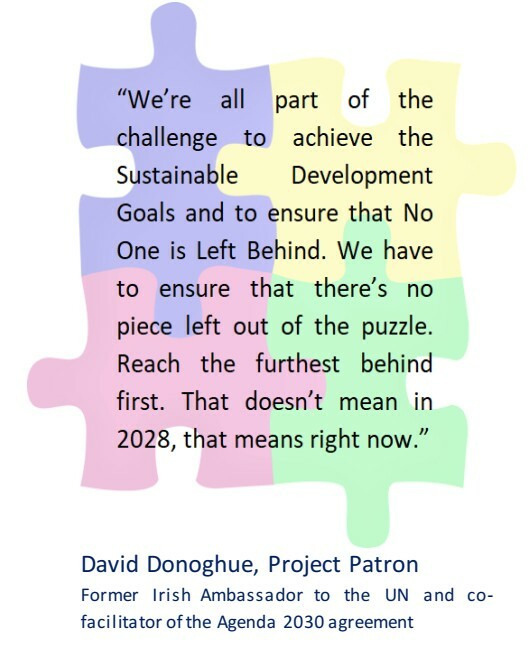 At the conference, David Donoghue, co-facilitator in 2015 of the historic UN agreement on the Agenda 2030, launched the ATD Ireland project: the “Leave No One Behind” Conversations. 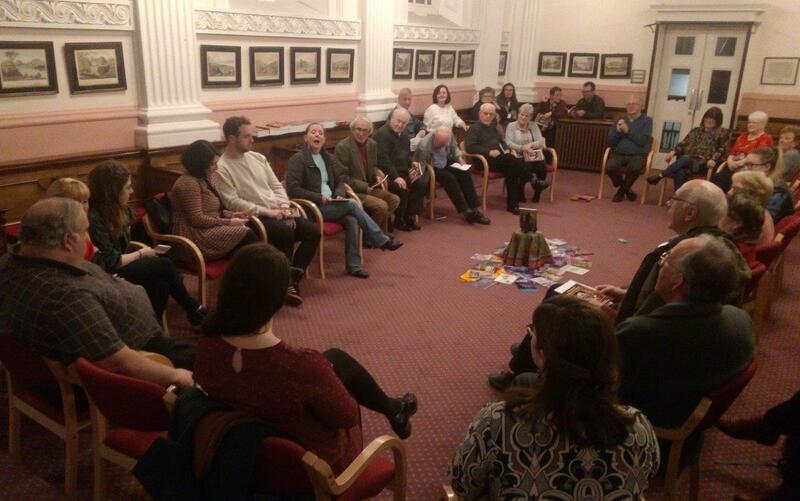 Have Your Say, Organise a Workshop! 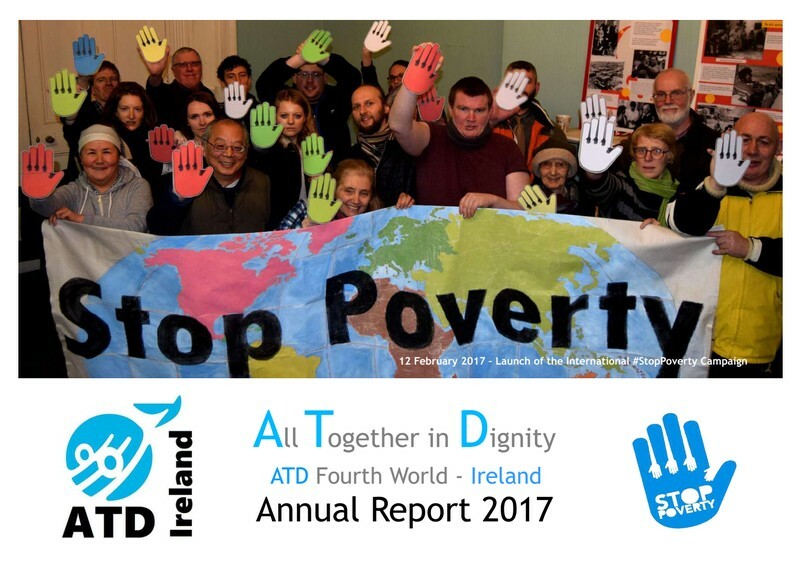 ATD wants to involve citizens from all walks of life (children, youths, adults – including people with experience of poverty and marginalisation) to take part in conversations and help in the design of “Leave No One Behind: Walking the Talk”, a handbook presenting ways to create inclusive communities. Help us to walk the talk! 1. What does the Leave No One Behind Promise mean to you? 3. What steps can we take in our own lives and in our own communities? 16 October: launch of the Handbook at IHREC as the world marks the #ZeroHunger and #EndPoverty Days. 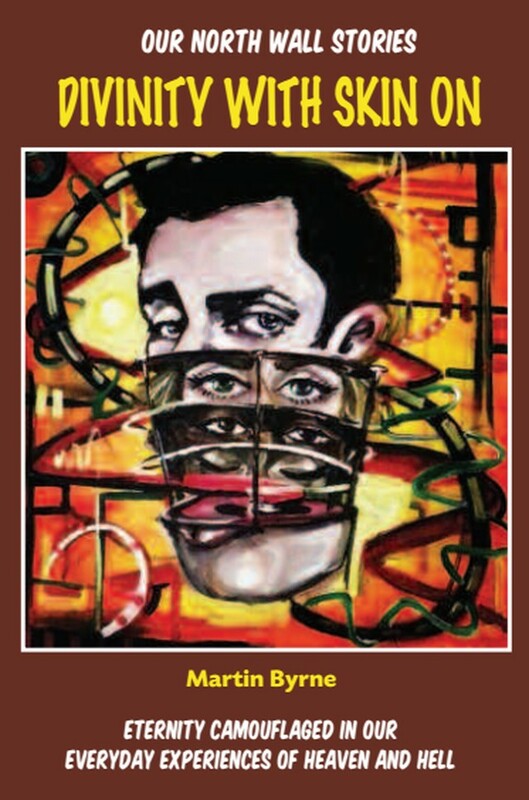 The project is co-funded by Concern and the ATD Foundation, Paris. Download the leaflet about the project here! Download the project’s banner here! All of the stories in “Divinity With Skin On” were written by ordinary people who have a story to tell and this book enables them to do so. We are so proud of the commitments our friends and volunteers! Discover pictures from the book launch on 10th April 2018 and download the book here!